Catherine Marie Blanche "Katie" Gillou (February 19, 1887 – February 16, 1964) was a French tennis player in the first decade of the 20th century. 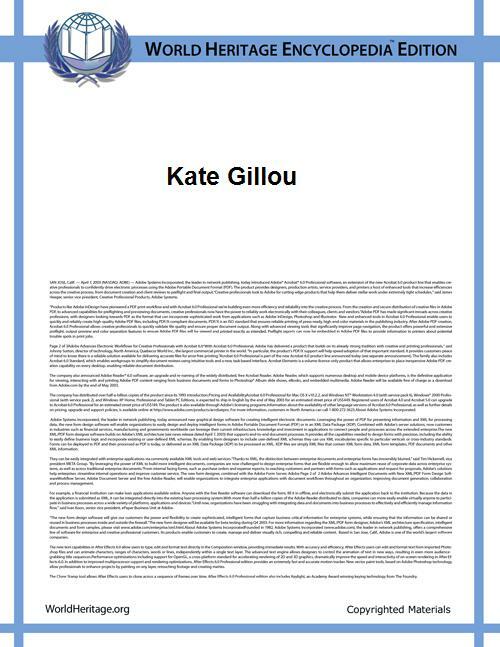 Gillou's victories in 1906 and 1908 were achieved under her married name of Kate Gillou-Fenwick. This biographical article relating to French tennis is a stub. You can help World Heritage Encyclopedia by expanding it. Boston Red Sox, Stanley Cup, United Kingdom, Association football, Rangers F.C. American football, World Figure Skating Championships, United Kingdom, Association football, Liverpool F.C.